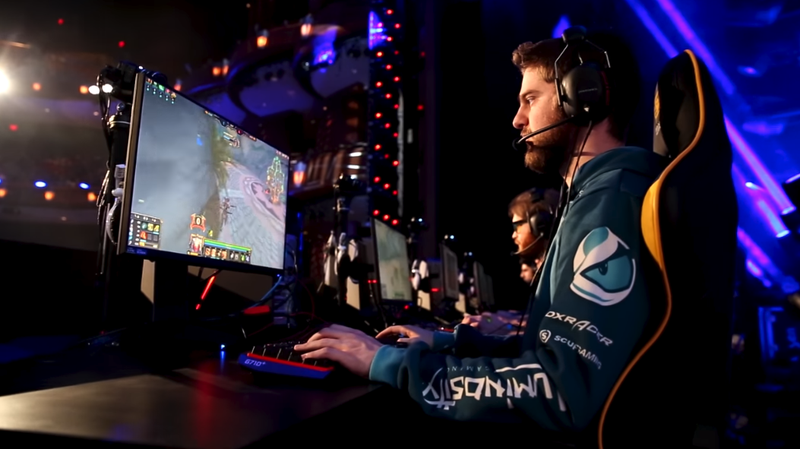 The new year is off to a big start in the world of competitive gaming thanks to both the Smite and Paladins World Championships going on right now. In addition to both of those tournaments, there’s also some StarCraft II play in Europe and Korea as well as a descent Dota 2 tournament in Captain’s Draft 4.0. The biggest Smite tournament of the year got underway last Wednesday and continues this weekend at the Hi-Rez Expo in Atlanta featuring a $1 million prize pool. The first leg of the best-of-five semifinals started at 9:30AM EST today to be followed at 2:00PM by the second. Then on Sunday at 3:00PM the top two teams left over will face one another in the PC championship bracket. On the console side the grand finals take place this evening at 6:30PM. You can watch the entire tournament over on Twitch. Meanwhile at the same event, Paladins will crown its champions with the console finals tonight at 6:30PM EST followed on Sunday by the PC finals at 12:45PM. You can catch those matches as well as the remaining Group play and semifinals going on throughout the afternoon in the stream below. There’s plenty of StarCraft this weekend as well with the 2018 WCS Leipzig European qualifiers set to take place at 1:00PM EST today. You can catch those matches here. Then play in the OSC Championship Group C continues early Sunday at 5:00AM EST starting with starting with ByuN vs. Winter. You can catch those games here. Captain’s Draft 4.0 is this weekend for fans of Valve’s moba. The $300,000 Minor will see the quarterfinals completed today beginning with Complexity and Vici Gaming followed by OG and Team Empire at 1:30PM EST. The winner of that side of the bracket will then go on to face Team Secret on Sunday at 12:00PM in the grand finals. You can stream those matches here. Elsewhere you can catch Ehome face VGJ.Thunder in the China Qualifier for the Bucharest Major. Should they win, they’ll then face LGD Gaming in the grand finals on Sunday at 4:00AM. Those games will be streaming here. The ESL Pro League Season 6 picks back up this Sunday with a handful of games beginning at 2:00PM EST. Godsent play Extatus while Space Soldiers face Na’ Vi. Then at 6:00PM Ghost Gaming take on Rise Nation while GX play Rogue. The fighting community descends on Tenessee this weekend for Kumite featuring Tekken 7 as well as tournaments in other games (namely Injustice 2 and Street Fighter V). Pool play began at 11:00AM EST today with top 32 to follow on Sunday starting around the same time. Smash also has some tournaments this weekend including Valhalla and Poi Poundaz (as well as making an appearence at Kumite). You can stream the first here and the latter here. Both will include Melee and Smash 4 with Poi Poundaz concluding tonight and Valhalla finishing up on Monday.